The Landless Band Project, funded primarily through Canada Council for the Arts New Chapter Program and facilitated by Eastern Edge Gallery in St. John’s, has recently undergone a rebrand. The project will be now be referred asIdentify: A Celebration of Indigenous Arts & Culture. This decision was the result of extensive consultation with the project’s steering committee, stakeholders, partners and Indigenous community members who felt that the original title was not indicative of their strong historical ties to the land. 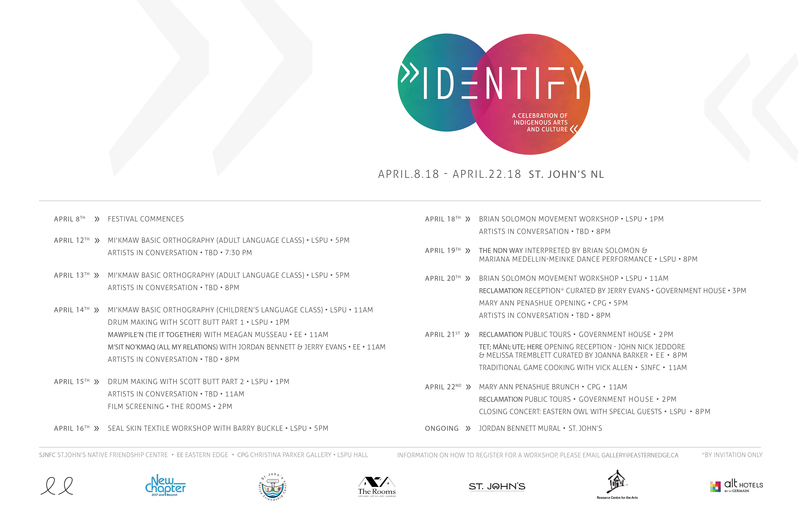 Identify: A Celebration of Indigenous Arts & Culture is reflective of the increasing exploration and reclamation of suppressed Indigeneity in Newfoundland and Labrador. It supports and encourages conversations exploring how we identify ourselves to one another and how we meet that self-identification. The project aims to create a progressive dialogue concerning self-determination, acceptance and cooperation while celebrating Newfoundland and Labrador’s proud and steadfast Indigenous heritage. Eastern Edge Gallery entered into a dialogue with the Indigenous community concerning their needs and desires and have rebranded the project and programmed the forthcoming festival to best meet those needs and desires. Identify aims to create space for Indigenous voices and expression, bringing together Indigenous arts and culture professionals from the theatre, film, literature, visual, culinary and textile art communities of Newfoundland and Labrador while giving time and space to reinforce their history and current experience. 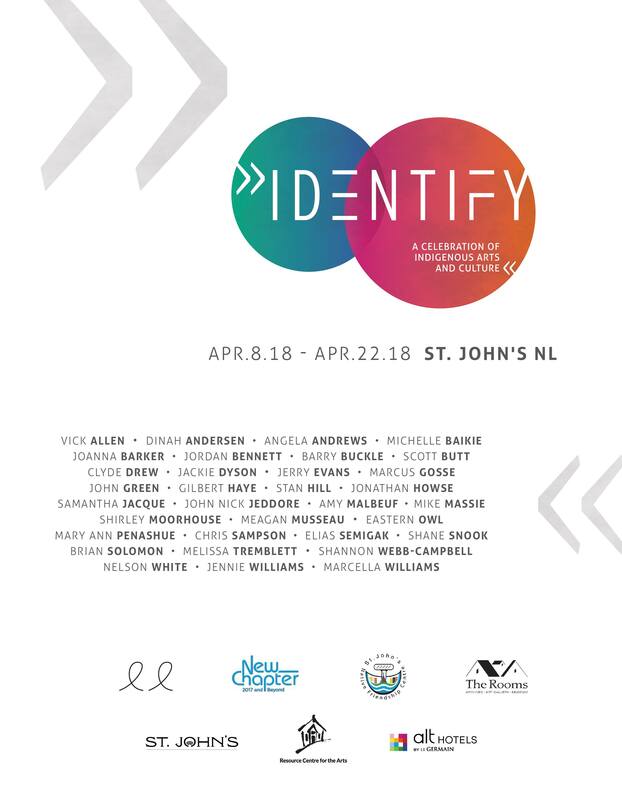 Identify will share and showcase the traditional and contemporary artistic and cultural practices of the Mi’kmaq people of Newfoundland and Labrador as well as the Inuit, the Innu, the Southern Inuit of Nunatukavut and the Beothuk. The project provides a platform for Indigenous-led conversations on self-identity, self-rediscovery and celebration of Indigenous culture. 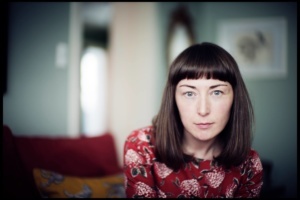 MEGAN GAIL COLES is a graduate of Memorial University, the National Theatre School of Canada and is currently completing her MFA at UBC. She is Co-founder and Artistic Director of Poverty Cove Theatre Company and an award-winning writer. Originally from Savage Cove on the Great Northern Peninsula of Newfoundland, Megan now resides in St. John’s where she is the Executive Director of Riddle Fence. Megan is of European/Mi’kmaq descent. 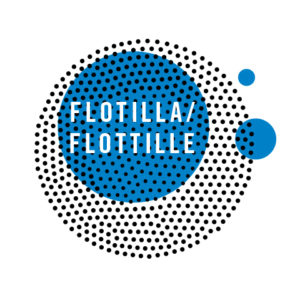 Eastern Edge would like to further acknowledge the generous support provided by ArtsNL, The City of St. John’s, Flotilla and The Betty Averbach Foundation.